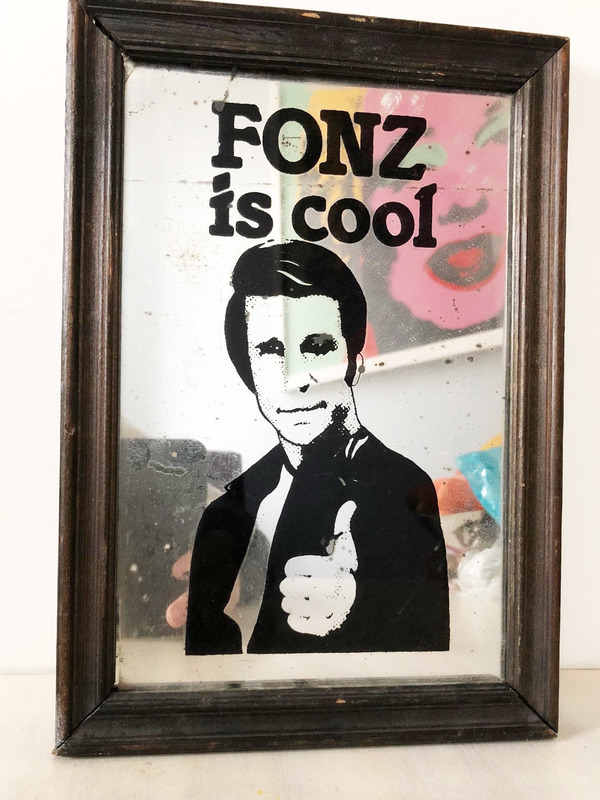 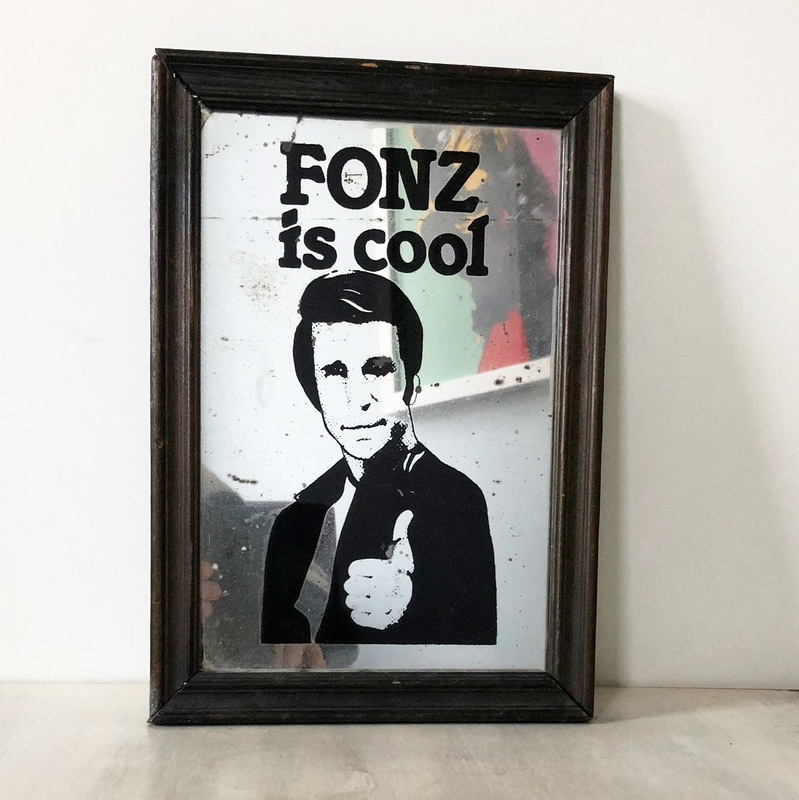 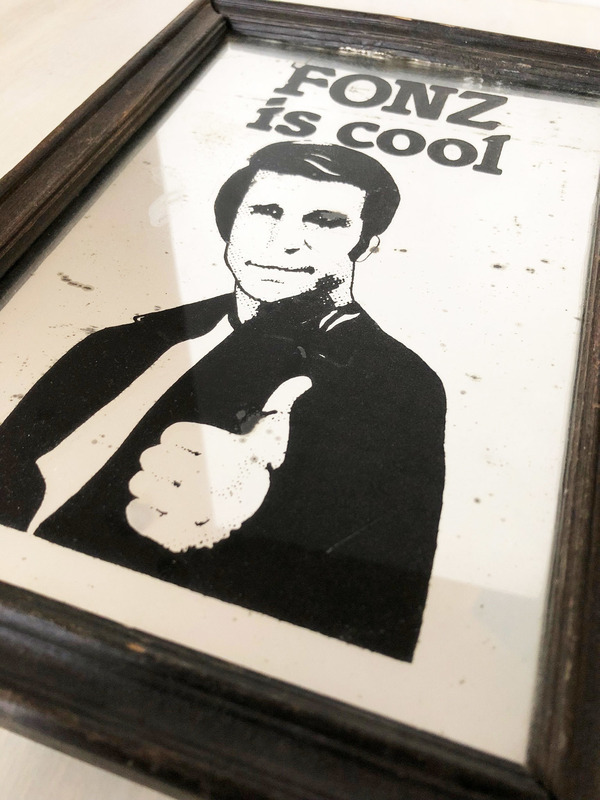 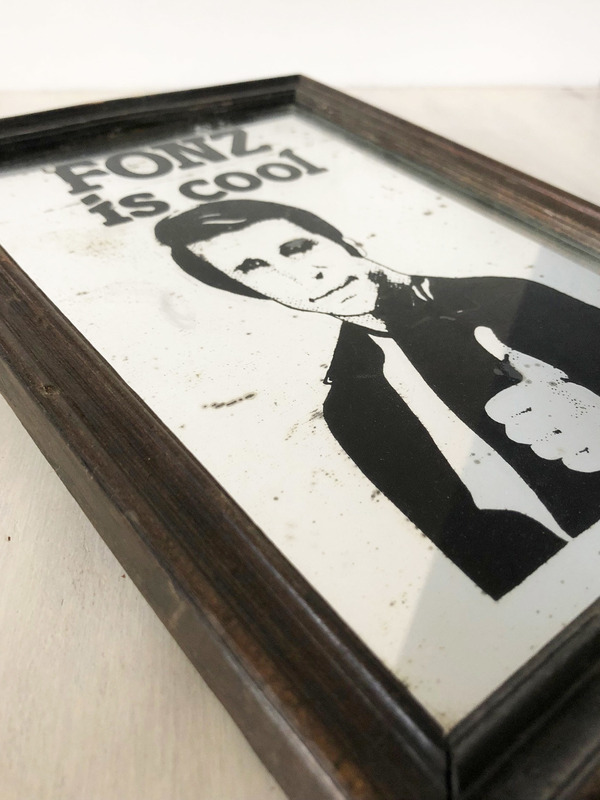 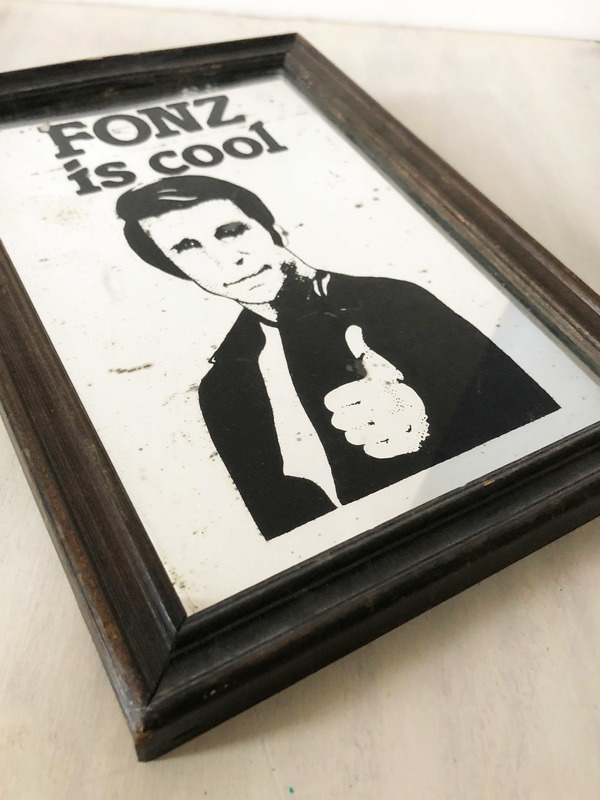 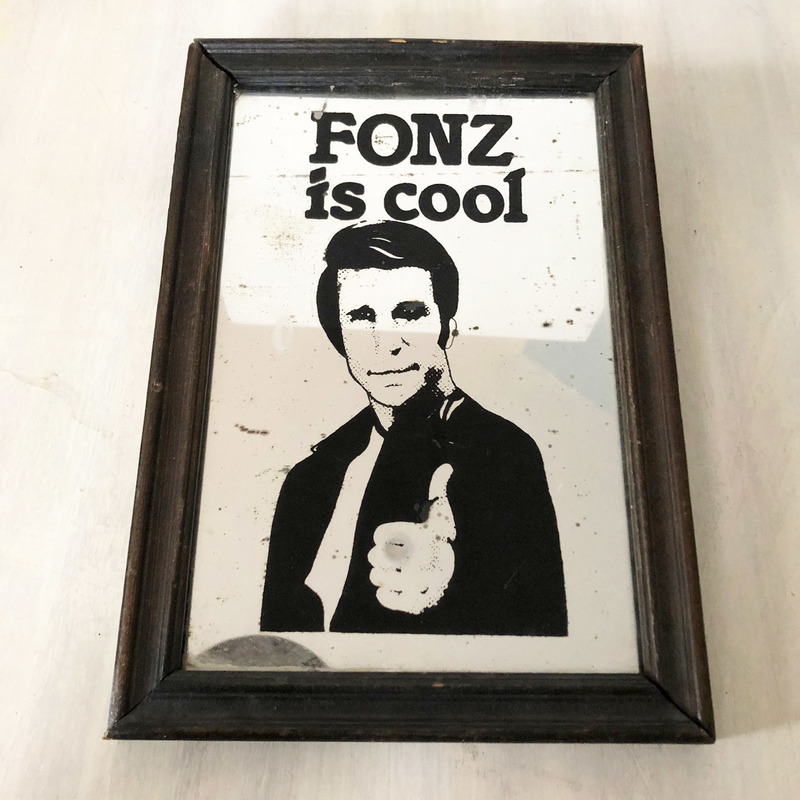 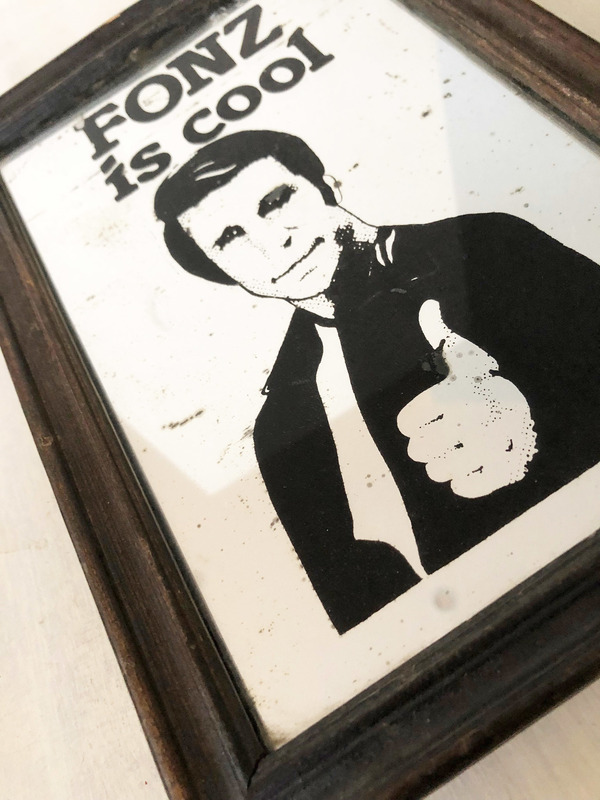 A vintage 70's Fonz is Cool mirror. 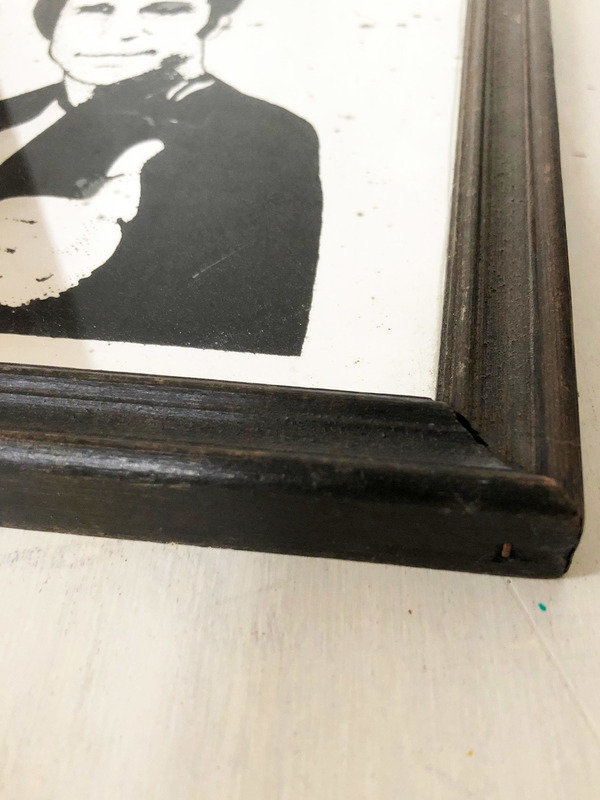 There's some damage to the wood and marking to the mirror, as well as a couple of areas where the pattern has worn away but they are pretty small, so please look at the pics carefully but it is still amazing. 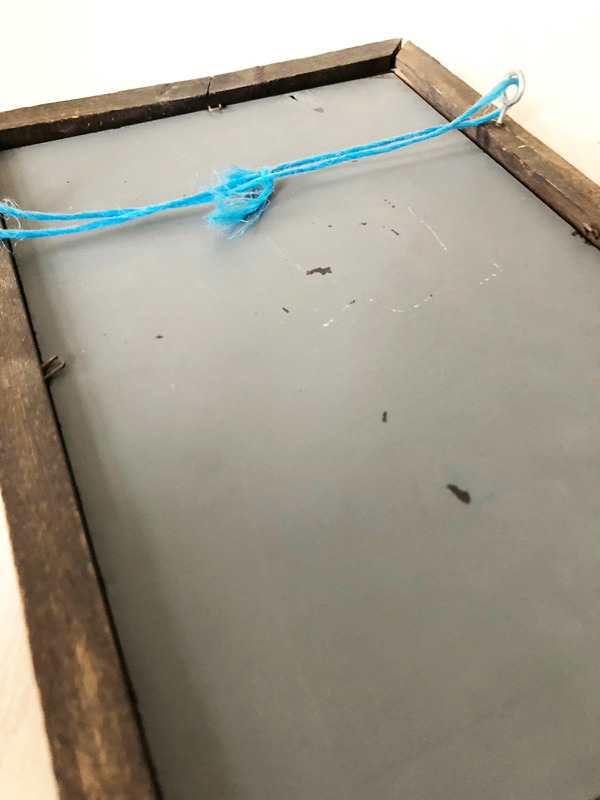 There is a hanging hook on the back and the picture measures approximately 7" x 10".